With it being officially Spring, I was on the hunt for a new fragrance. 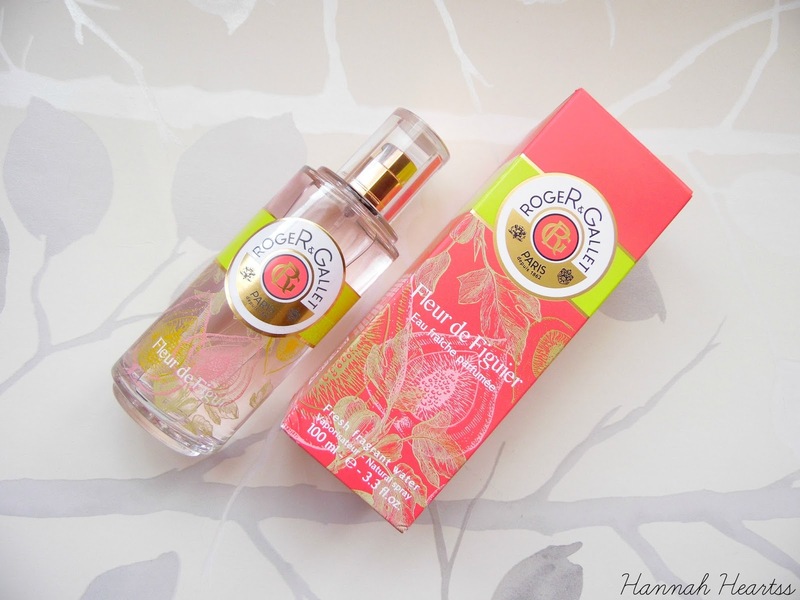 Roger and Gallet has become one of my favourite brands over the last couple of months and I have tried and loved a couple products from the Fleur de Figuier line so when I heard about the Fresh Fragrant Water* I knew I had to try it. Its official, I have fallen in love with this fragrance! This scent is fruity heaven. Fleur de Figuier has hints of fig pulp, freshness from grapefruit, mandarin and finally musk and fig wood which all together create the most irresistible fragrance, perfect for the upcoming Spring and Summer months. This scent I can quite honestly say has become my favourite scent out of anything I have in my collection. I actually have the Ultra Nourishing Body Oil and the Hand Balm in the same scent of Fleur de Figuier and I can't get enough of these products. I have found myself wearing this scent everyday since it came through my letter box and it safe to say that it has become my new scent obsession. The scent does last on the skin and even on clothes for most of the day but I find myself respraying it often as I have put it in my travel atomiser for my handbag so I am never without this scent! I have never smelt anything like this fragrance before, it is my perfect scent. I don't think I have ever repurchased the same fragrance twice but I know I will have to get a back up of this before I even finish it, I don't think I will ever be able to be without it! This fresh fragrant water is hypoallergenic, dermatologically tested, paraben free and suitable for vegetarians and vegans! It can be used by almost anyone as it is also can be used on any skin type. This Roger and Gallet Fleur de Figuier Fresh Fragrance Water is available in both 30ml and 100ml sizes for £17 and £32 at Marks and Spencer.